Many people want to be entrepreneurs, but many of those don’t really know what kind of business they would start. It’s likely the biggest obstacle in the way of becoming an entrepreneur. Since the dot com boom, and Amazon, companies have made small (or large) fortunes serving just as the middleman. It’s not just for e-commerce anymore either. Basically, any process that can be simplified by a third party can be made into a company in some way. Take the case of Brian Chesky and Joe Gebbia for example. These two had just moved to San Francisco in 2007 with an idea for a company called Airbed & Breakfast. Soon after, there was a big conference that was booked in town, and all of the local hotels were booked solid. With bank accounts that didn’t match their entrepreneurial ambition, Brian and Joe decided it was the right time to get started and offered up the living room area to their apartment, that they couldn’t even afford, for rent during the conference. The guests slept on airbeds and were served homemade breakfast in the morning. They banked some $800 by renting out their place. Not two years later, that same apartment was now the home base for Airbnb. Airbnb is a website that serves as the bridge connecting travelers to lodging. What was once a single room operation to rent their apartment to conference-goers, Airbnb can now put you, the traveler, in a place to stay all around the world. This idea for Brian and Joe could not have come at a better time either, as 2007 was just before the economy went into a recession. Being in San Francisco didn’t hurt either, being that it is basically the technological hub of the country (possibly the world), so a startup like this is well-suited for Silicon Valley. Also, being an internet startup provided immediate benefits as well. Being that this was taking off during the biggest economic downturn of our time, the low overhead of an internet company was certainly helpful in getting Airbnb to progress, and being online, instant access to customers and their feedback was available. Advertising was also available at the click of a mouse. 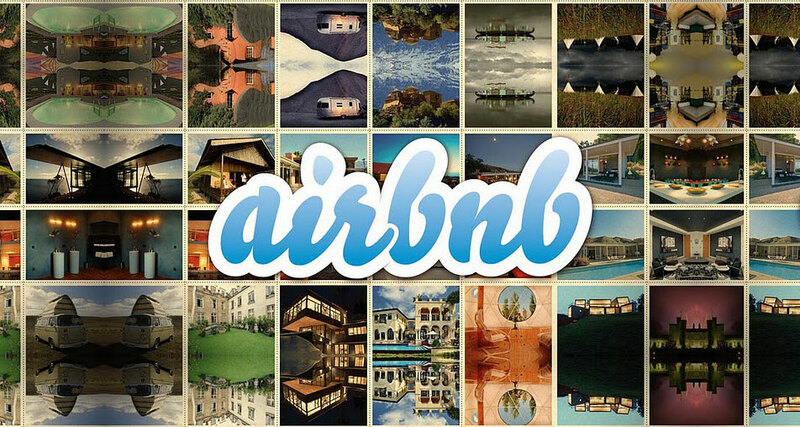 Just six years after being founded in 2008, Airbnb has over 800,000 listings across 192 countries, and as of April of 2014, Airbnb is valued at $10 billion. This service, and services like Uber and Lyft, just prove that with technology the way it is going today, if you can find a way to simplify a task for someone, or just make things more convenient, you could start one of these so-called “middleman companies” and find yourself one day a partner in a multi-billion dollar company. Do you utilize the services of these middleman companies? What attracts or detracts you from doing so? I love this concept and sometimes I find myself browsing the site dreaming of where I would stay if I were to travel. If only I had enough money. I think the one thing about middleman companies that makes me, and possibly others, uncomfortable is the level of reliability and trust that I can have in these services. If I were to stay at the Ramada Inn or the Hilton I know basically what I’ll be receiving and that the standard will be met across the board. With a service like Airbnb, all I have to rely on is pictures that kind of look too good to be true and reviews that might be falsified. Call me paranoid but I like to be sure when picking a place to lay my head and put my money. Middlemen companies are great because they’re innovative and useful but don’t provide the same level of initial comfort that a big company with name and service recognition would. Great post! I have used airbnb and relay rides and I have loved it. Every time i have used one of these services i have felt i have gotten a nicer place or car than a hotel or rented car for a cheaper price. I also like that you get to interact with the people that you are renting the house or car from. They genuinely care about your experience and it makes the trip much more enjoyable. So far I have not had a bad experience, i would recommend it to anyone. Interesting post! I would be willing to use a service like this. I have heard of it once before but not exactly sure what it was, but after reading this I want to try it. One thing that detracts me from it is I am not sure how safe I would feel with leaving expensive belongings at the house, in case it gets stolen. Or if they rummage through my belongings. That would make me nervous to stay there. Otherwise sounds like a fantastic service. I absolutely love traveling, I probably travel internationally twice a year. I have met people all over the world in which many of them I have invited to visit and of course let them stay at my home. I have heard of Airbnb before but not really paid much attention to. Even though it seems like a great idea I would be very skeptical to use. I think if somehow they make it more safer by having background checks and some sort of security system. Maybe then I would do it.